Product prices and availability are accurate as of 2019-04-18 16:44:43 UTC and are subject to change. Any price and availability information displayed on http://www.amazon.com/ at the time of purchase will apply to the purchase of this product. Plano A Series 2. 0 Quick Top Tackle Bag and Bait Storage. Series: 3700 Dimensions: 20. 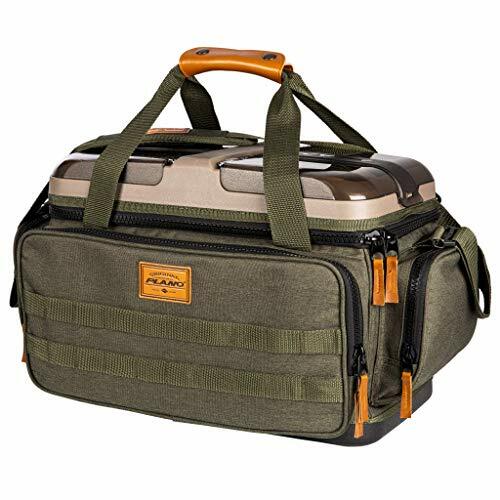 8"L x 13"W x 12"H Includes Four 3600 Stowaways This rugged looking tackle bag features a molded Hard Top with Water Resistant Compartments for valuables. 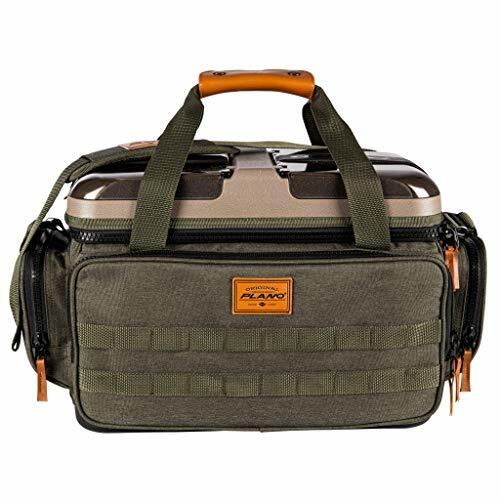 Keep your fishing gear dry with the Impact-resistant waterproof base Heavy-duty hardware and oversized zippers. Multiple Mole attachment points for clippers, fish counter etc.